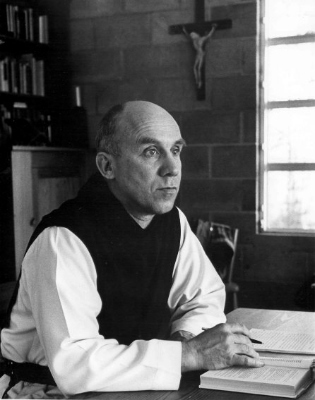 Thomas Merton was among the most influential Catholic writers of the twentieth century. His writings cover a broad range of subject matter: spirituality and the contemplative life, prayer, and religious biography. He was also deeply interested in issues of social justice and Christian responsibility. He did not shy away from controversy and addressed race relations, economic injustice, war, violence, and the nuclear arms race. Merton was born in France in 1915. His father was from New Zealand and his mother from the United States. After a brief sojourn in England, where Merton was baptized in the Church of England, the family settled in New York. The birth of his brother, the death of his mother, and the long-distance romances of his father created an unsettling life for Merton for some years.After a brief enrollment at Clare College, Cambridge, Merton settled into life as a student at Columbia University in New York. Merton developed relationships at Columbia that would nurture him for the rest of his life. Though nominally an Anglican, Merton underwent a dramatic conversion experience in 1938 and became a Roman Catholic. Merton recounts the story of his conversion in The Seven Storey Mountain, an autobiography published in 1948, immediately a classic. Merton entered the Order of Cistercians of the Strict Observance, the Trappists, at the Abbey of Gethsemani, near Bardstown, Kentucky, in 1941. Known in the community as Brother Louis, Merton’s gifts as a writer were encouraged by the abbot. In addition to his translations of Cistercian sources and his original works Merton carried on a prolific correspondence with people around the world on a wide range of subjects. Some of his correspondence takes the form of spiritual direction, some shows his deep affections for friends outside the community, and much of it demonstrates Merton’s ability to be fully engaged in the world even though he lived a cloistered life. Merton died in Bangkok, Thailand, on December 10, 1968, by accidental electrocution, while attending a meeting of religious leaders during a pilgrimage to the Far East. Why are we choosing between these two great persons to commemorate on a single day? Collect: The collect is disappointing for such an influential 20th century writer. Readings: The New Testament reading and the Gospel reading do not seem to fit Merton’s style, IMHO. Bio. This bio has a nice ‘who he is’ and ‘why he is important’ statement; and, a death date. Other bios should emulate this standard. Thank you to the author – whomever you are..
Oh, and I thought that the person commemorated need to have been dead 50 years. Has that been superseded as a rule? Maybe the idea of pairing these two is to achieve a balance, one very protestant and one very catholic writer and thinker. Both were certainly influential in the 20th century: Barth as an awesome professional theologian and Merton as a public writer on religious and other topics. But haviing said that, I think each deserves a day alone. In the collect, ‘You called your monk Thomas to proclaim…’ has a very odd sound. The traditional ‘servant’ would work a lot better. There’s nothing in bio which justifies either ‘proclaim your justice’ or ‘perceive and value Christ at work in the faiths of others’. The bio should describe the contribution made by the person commemorated, and the collect express our thanks for it and when appropriate our desire to imitate it or see it imitated. I find the reference to “long-distance romances of his father” awkward, raising more questions than need to be answered. I suggest “and the romance of his father with the American novelist Evelyn Scott” in place of that. Line 1, second paragraph: after “in”, add “Prades,”. Line 1, second paragraph: after “France”, substitute “on January 31,” for “in”. Line 2, second paragraph: after “his”, add “Quaker”. Line 3, fourth paragraph: amend all after “1941.” to read “Merton was known in the community as Brother Louis; his gifts…”.The writer may have attended journalism classes, where this type of construction is taught, presumably as a way of “spicing up” the story. Alas, it is not grammatically viable: the clause cannot “agree” with “gifts”; it is meant to apply to Merton. Last week I read a long description of his life on Wikipedia. For people interested suggest this reading.